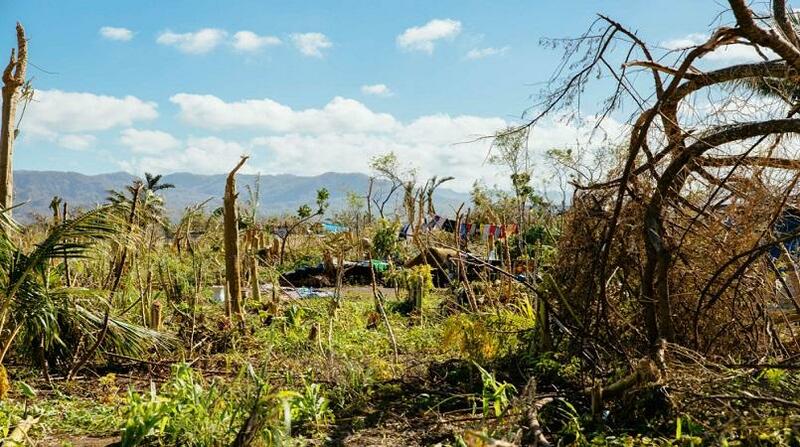 The European Union (EU) will provide an initial FJ$ 10 million through the Pacific Community (SPC) to complement the Fijian Government's efforts in relief, recovery and rehabilitation following the devastation caused by Tropical Cyclone Winston. The funds will immediately be made available from EU-SPC projects for communities and businesses in the most severely affected regions of Fiji. "The FJ$10M is a direct, practical short term response to the needs of Fijian citizens in the affected areas", says EU Ambassador for the Pacific Andrew Jacobs. "The EU and SPC have joined forces to identify other resources, whether it is through an existing joint programme or a new source that could be expedited and channelled towards re-building peoples' lives". The projects will assist rehabilitation efforts in the agricultural sector by increasing the supply of key export crops, such as fruits and vegetables. This will foster food security and also contribute to the livelihood of smallholders farmers in affected areas. Support will be targeted to the needs on all levels of the agriculture value chain, including farmers, agri-processing and export companies. In addition, projects will also fast-track resources towards the water, sanitation and hygiene (WASH) and rural electricity needs of affected citizens.